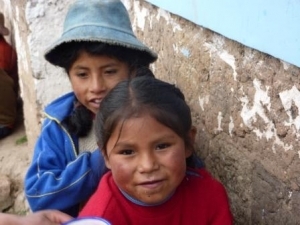 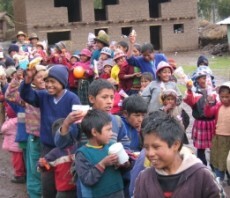 Southamericaplanet like to contribute for a better life for everyone! 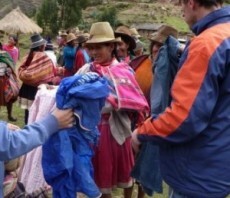 This we don’t do by asking money as so many other agencies do, but by asking second hands clothes. 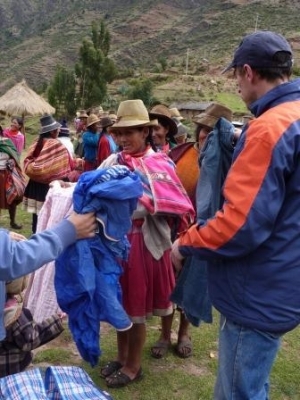 Everyone normally have after his travels clothing that he never use anymore at home and probably put these ones in the garbage. 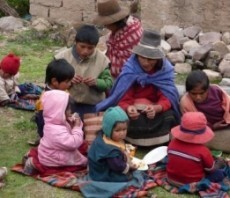 Southamerica planet select each year a poor village that we will make happy! 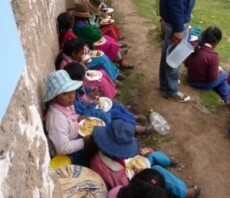 We pay this with a part of our profit. 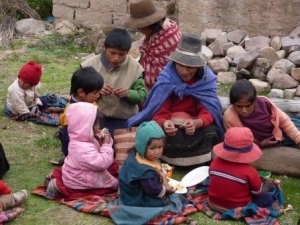 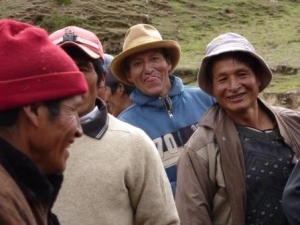 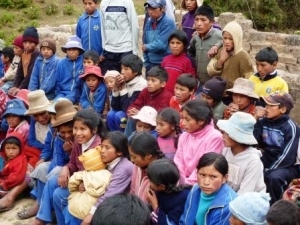 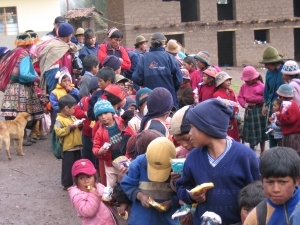 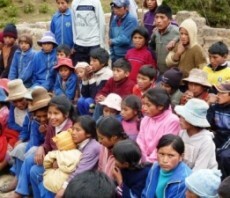 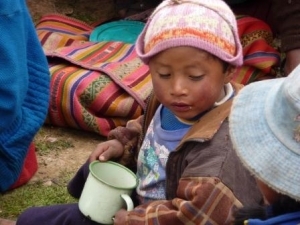 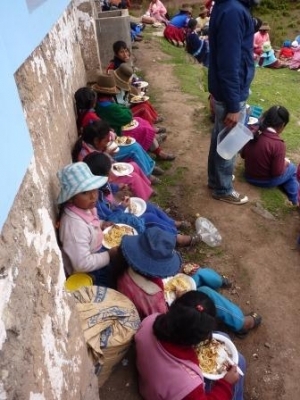 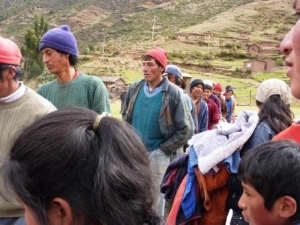 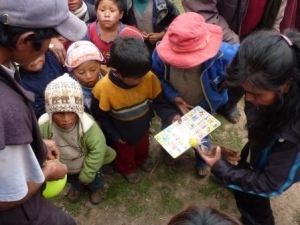 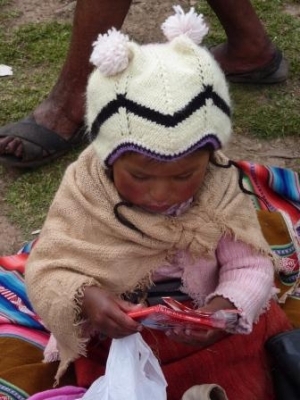 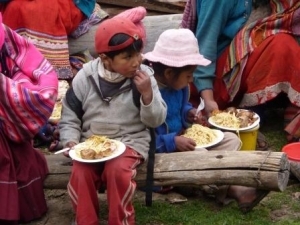 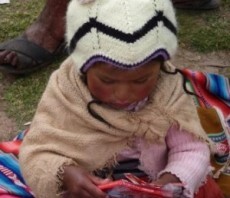 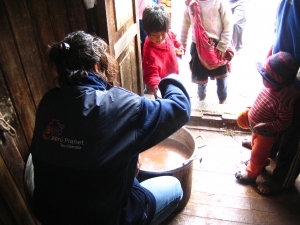 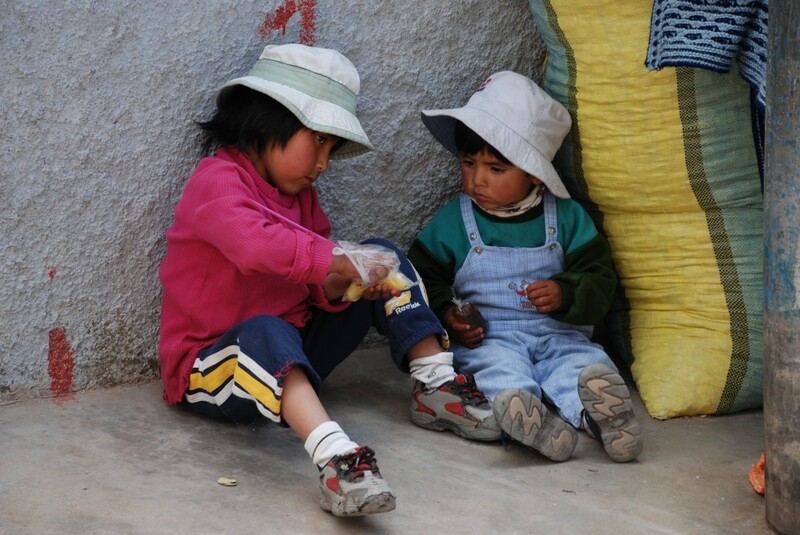 We rent minibus and with al our employees we go to the poor village high in the sacred valley, away from tourists. 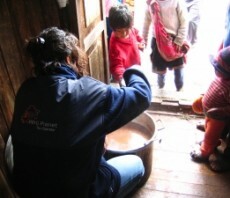 Here we prepare approximately 200 litres warm chocolate milk and a total meal. 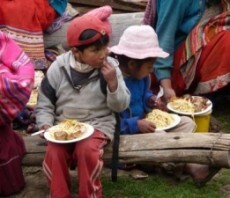 This year 2011 we prepared 250 pastas with chicken and a softdrink. 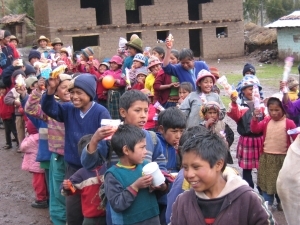 We give some toys to the children. 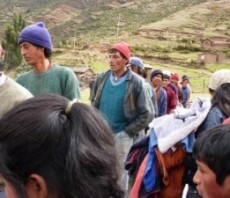 Also we give second hands clothing and shoes. 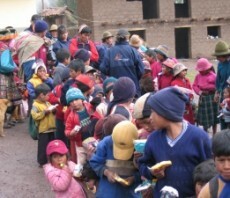 Here you can help us . 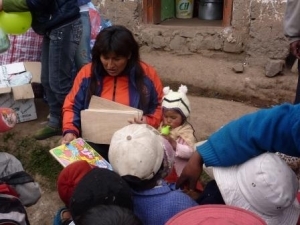 Therefore everything what you no longer use, please bring it to our office in calle garcilaso 210, off 201 and we make these people happy in your name! 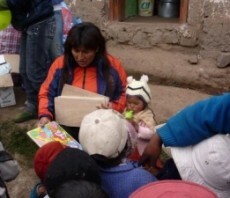 They really need it !The pictures prove this ! 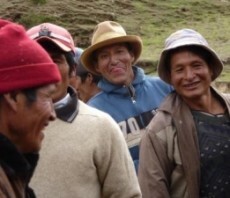 Manny thanks in advance from Us but also from the local Peruvian people!